Every so often, Sarah and I go through our children’s toys and set some aside to donate to Goodwill. Our children tend to receive a lot of gifts on their birthdays from their army of loving grandparents, aunts, uncles, and cousins, so they tend to wind up with a large number of toys. From those toys, we find ourselves pulling out the same type of toys over and over again. Generally, the items are made out of plastic. Generally, they’re not really well constructed. The toys that stay are the ones that are in good shape and the children play with consistently. The question then becomes how we can spend our money (when we buy birthday gifts and the like) on items that stay as opposed to items that do not. That way, we’re not simply tossing our money out the door when we do a toy purging. Here are a few tactics we’ve picked up over the years that really work. First of all, buy fewer toys. Instead of buying ten gifts at Christmas, buy two or three of them for your children to open. The reason for this isn’t to deprive your child, but to keep away the “diminishing returns” factor. After you receive more than a few gifts at once, it’s impossible to play with and enjoy all of them, so naturally some get pushed to the side based on the momentary interests of the recipient. I’ve witnessed this with myself and with my own children. You’ll find two or three of the items that you particularly enjoy, while the rest get pushed aside. So why even get the gifts that will be pushed aside? There’s no reason to buy a child a gift that will be largely ignored and eventually sold at a yard sale or given away. So, what toys do you buy for them? I suggest buying toys that will last. Choose toys that are made well, are very sturdy, and can handle the inevitable wear that comes from children playing with them. Avoid flimsy plastic at all costs. This doesn’t mean you shouldn’t take your child’s interests into account, of course. 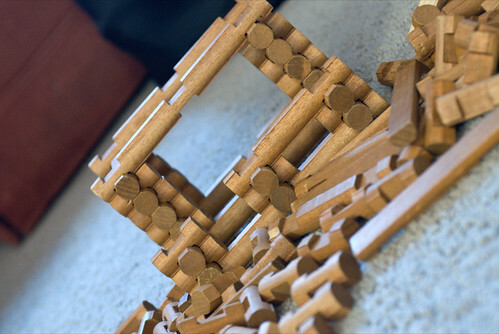 If your child likes building, look at a set of Lincoln Logs or Tinker Toys. If your child likes playing with dolls, get a well-built wooden dollhouse. There are well-made toys that line up well with every child’s interests. Not only that, well-made toys have better resale potential. Eventually, your child will outgrow the toys he or she currently plays with. When that happens, you’ll want to give away or sell the toys. A well-constructed toy that has weathered the wear and tear quite well will be much easier to sell or give away than a beaten toy that’s two steps from the trash bin. As always, don’t be afraid to look at places like Craigslist for children’s toys. There’s nothing wrong with getting your child a used bucket of building blocks or a used easel as a gift. You’ll get a good item at a discount, your child will have a lasting item, and you’ll still be able to recoup some value when the child outgrows the item.